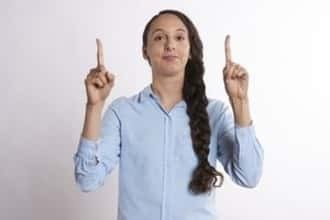 ﻿ Sign languages - How deaf people use them? What are sign languages, how many people use them in the world?! Sign languages are the languages that use hands and body movements for communication. Sign languages are the languages that use hands and body movements for communication. They are based on visual signs and their structure and grammar are equally rich as those of spoken languages. There are around 130 recognized sign languages and they have got their names mainly after the country they are used in. There is, for example, Hungarian sign language, Egyptian, American, Australian, Greek, Polish, Russian sign language etc. It has been estimated that in the European Union, one person in a thousand uses sign language as the first language. Family and friends of deaf and hard of hearing people mainly use it as the second language. Children of deaf and hard of hearing parents, their sisters and brothers, friends and relatives are in that group. All of them know how to use the sign language in order to communicate more easily. There are also people who are professional translators as well as people who are interested in using this language. There is no universal sign language. There are various versions and they differ depending on the country where they are used. They are valid languages with their own grammar. As in other languages, there are certain words that are difficult for translation. More... What does the slogan Keep Calm and Carry On really means? Sign languages are not universal and have no written form. In the sign language, movements of the hands, fingers, body and face are used instead of intonation. There is national and international voice communication. The basis of international communication is American ASL and international IS used in different international gatherings. There have been attempts to standardize the sing language in the world, but those attempts have not been successful. For example, signs for colors or months of the year often differ. For now, these dialects still exist. When in contact with a deaf or hard of hearing person, use simple approach such as pronouncing simple sentences. With the support of the sign language translators it is easier to communicate in different meetings or in the education process. You Like it? Share with friends. Popovic Translation Company is one of the leading translation providers in Serbia. We offer a full range of translation services for individuals, institutions, organizations and companies. © 2018 TRANSLATION AGENCY POPOVIC. All Rights Reserved.